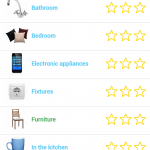 Mobile Apps were developed as result of projects we were part of. 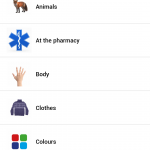 They are free to use and you may find them on several apps’ stores ready for download. 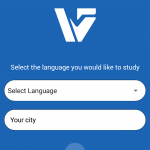 The Language Voices app is created for language café organizers as well as language café members looking to attend a language exchange in their region. The language café organizers may add information about the language exchange, venue, time, date, information about the languages, materials, tutors, images etc. 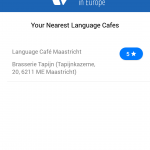 This app will make it easy to find the closest language cafe to you. 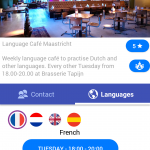 The app will be available in Android from May 2018 free of charge. 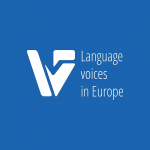 Linguistic isolation is one of the key barriers to successful integration. 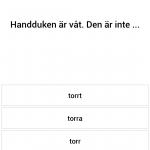 Developed by language researchers and practitioners with a migrant background themselves, Svenska I Finland is an app that offers you the possibility to learn the Swedish spoken in Finland, for free using innovative research-based methods. 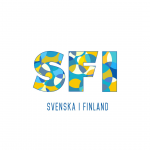 Svenska i Finland was developed with funding from Svenska Kulturfonden. 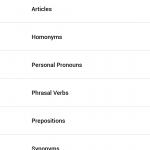 The material in our app is divided into Vocabulary, Phrases, Dialogues and Grammar modes. 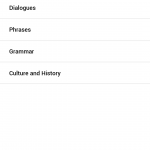 In each mode, we offer a variety of topics that you will be able to use in everyday life. 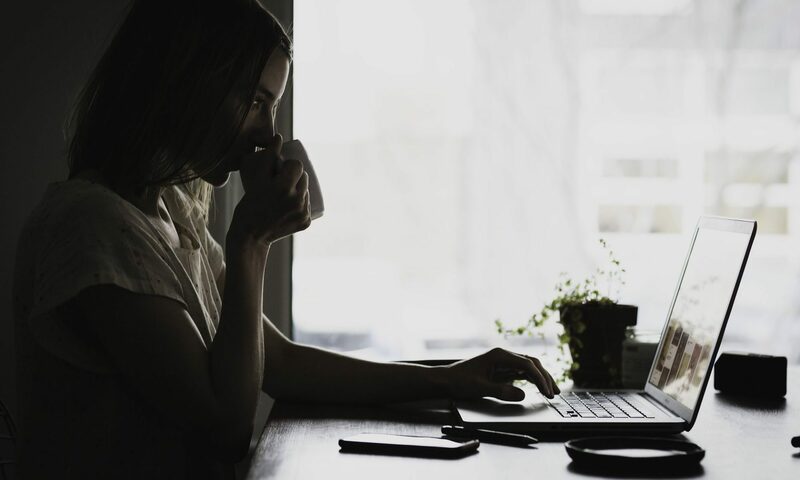 Even without any previous knowledge, you will quickly master short sentences that are practical and useful in real-life situations. 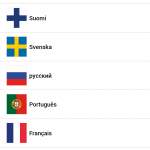 The Svenska i Finland application and content was developed by Learnmera Oy and Ni-Square Ltd. Audio by Mathilda Carpelan, Conrad Stenberg, Robert Aho and Veronica Gelfgren. 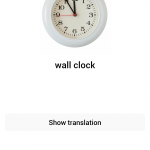 This app is designed for both IOS and Android. 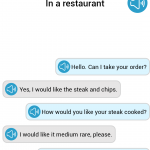 It is free and does not contain ads or in-app purchases. Migration in the EU has been rapidly growing in recent times. It is crucial, therefore, to provide tools to support the integration of migrants and refugees arriving in Europe. 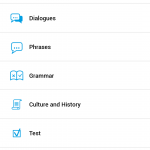 Language learning is one of the key priorities of successful integration. 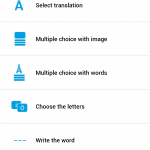 Mobile applications are an effective educational source that can be specifically targeted at migrants and refugees, as a considerable percentage of them are digitally literate, own smartphones and are looking for new opportunities online in their host countries. 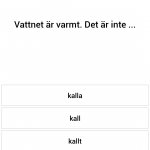 This app provides a gamified language-learning solution. 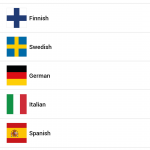 It is available in English, Spanish, Italian, German, Swedish, Finnish and other 20 languages most widely spoken by migrants in the partner countries. 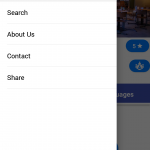 The application will help them to learn the local language and to familiarize themselves with new cultural concepts in their host countries. 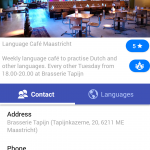 Designed to cater to different levels of linguistic competence, this application will also be useful for people who have already been living and working in their new home country for some time. 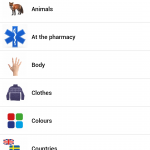 The content of the mobile application covers topics that are essential during the first steps of living in the host country. 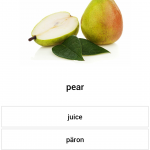 It contains 4000+ illustrated vocabulary items for easy concept recognition.